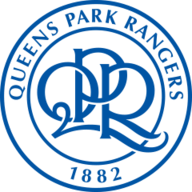 Pawel Wszolek scored a late QPR winner for the second game running as they beat Ipswich 2-1 at Loftus Road. Tom Lawrence netted a stunning equaliser for the visitors, blasting in from 25 yards three minutes after half-time, cancelling out Idrissa Sylla's first-half opener. But Wszolek, who got the winner at Wolves on New Year's Eve, struck again with seven minutes remaining to give Ian Holloway's team a victorious start to 2017. The Polish winger chased Nedum Onuoha's long ball forward, held off Adam Webster and rounded 'keeper Bartosz Bialkowski before tapping into an empty net. It increased the pressure on Ipswich manager Mick McCarthy, who was barracked by some of the frustrated away fans. Both sides struggled to create clear-cut chances before Sylla scored out of nothing on the half-hour mark - the striker's second goal in as many matches and his sixth of the season. Christophe Berra failed to clear James Perch's throw-in from the right and Sylla was able to fire into the roof of the net from near the edge of the six-yard box. However, Sylla's involvement ended just a few minutes later when he had to go off after taking a knock to the head in the Ipswich penalty area. Rangers had plenty of possession before the Guinean's goal, but Ipswich had gone closest to scoring when 'keeper Alex Smithies was down quickly at his near post to push away a shot from David McGoldrick, who also nodded well over from Lawrence's free-kick. 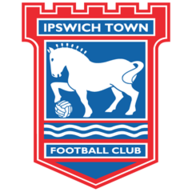 Ipswich continued to probe after going behind, and Luke Chambers missed a chance to equalise when he blasted over the bar in the final minute of the first half. But McCarthy's side levelled soon after the restart in spectacular fashion courtesy of Lawrence's thumping right-footed strike. Rangers, beaten in their previous three home matches and having lost six games in a row prior to their win at Wolves, then had to withstand a spell of Ipswich pressure. Grant Hall's last-ditch challenge denied Town substitute Grant Ward, Smithies saved from McGoldrick and Brett Pitman headed wide from McGoldrick's cross as the visitors threatened. Rangers missed the presence of Sylla up front but his replacement, Conor Washington, forced a near-post save from Bialkowski and served up a decent cross for Wszolek, who was unable to connect properly. But Wszolek's persistence caused Ipswich problems throughout and was eventually rewarded when Webster's sloppiness enabled him to score his third goal since his season-long loan move from Italian club Hellas Verona. "No-one likes to have a terrible run like that. It's a horrible feeling and I felt so down, but I never showed the lads because what they were producing at times was quite promising but they were getting nothing." "It was a good performance all round, but they put it in the net instead of us. It should have been a 1-1 draw and if we don't win that game then there's no way we should lose it. Get a £10 free bet here! "We played well in the first half, dominated until their goal and played very well in the second half. "We've had two really good performances; a good performance and a good result against Bristol City but then a good performance and a bad result here."